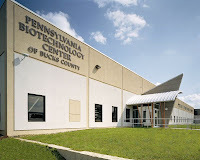 The Hepatitis B Foundation and the Pennsylvania Biotechnology Center, headquartered in Buckingham, Pa., were recently featured on the Huffington Post for their global outreach and unique business model. We are so proud of the work they do on a daily basis and to call them colleagues and friends. We want to share their story with you - click here to read the Huffington Post article.